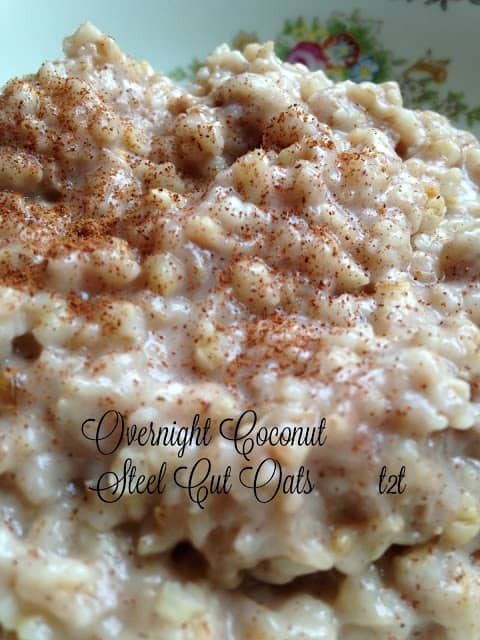 Start the New Year off right with a bowl of healthy and good for you Coconut Steel Cut Oats. This oatmeal is made in your slow cooker which means the oats cook unattended and in the morning breakfast is served. When making oats in your crock-pot, be sure to use steel-cut oats. Steel-cut oats can withstand the long hours of cooking in the crock-pot, while old-fashioned oats can be used but I won’t recommend it. They tend to overcook if cooked to long, so stick with the steel-cut oats. I’ve used both and prefer steel-cut oats, with great results. 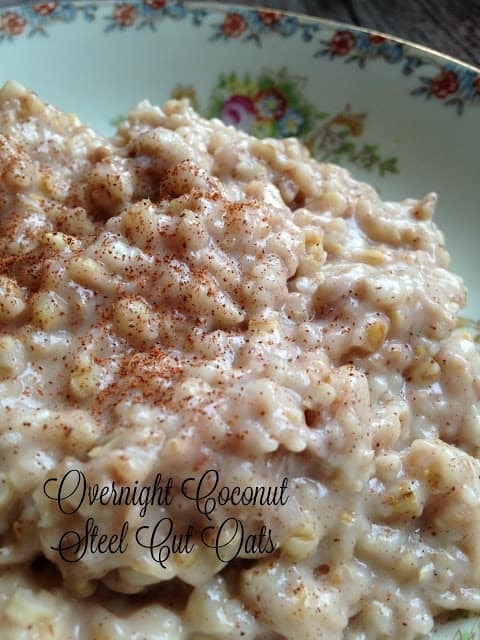 This recipe for Coconut Steel Cut Oats is made with steel-cut oats, water, coconut milk, coconut extract, cinnamon, nutmeg, brown sugar, flaked coconut and chopped pecans are all that is needed to make delicious oats. 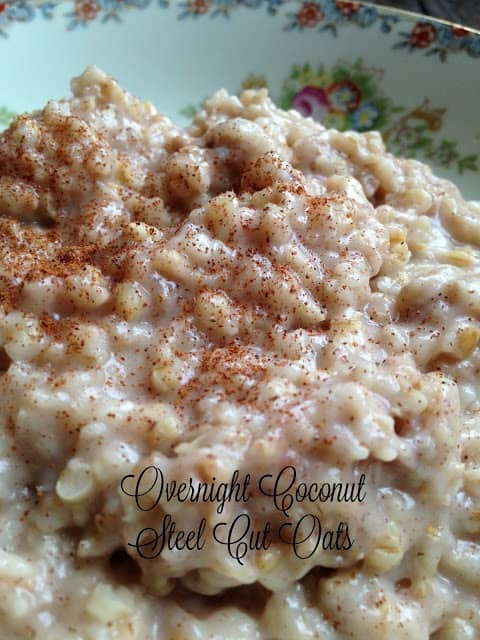 Steel cut oats are very versatile, so make them your own by using ingredients your family likes. Another point to remember, cooking times will vary depending on your crock-pot, oats and liquid. Lightly butter 6 quart slow cooker. Put all ingredients into slow cooker, stir.